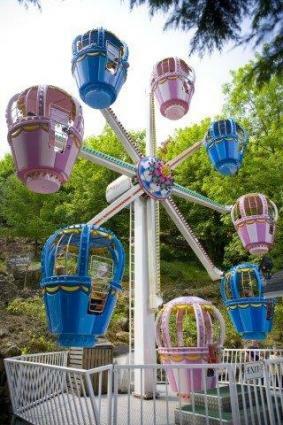 Gulliver's Kingdom theme park, now known as Gulliver's Matlock Bath, is one of a family of four similarly themed parks located in southern England. This specific park offers family thrills in a unique and stunning atmosphere. The Matlock Bath area has been a tourist destination for centuries, ever since the first bath house opened in 1698 to take advantage of local warm springs and other natural features. The theme park was built in 1978 on a steep hillside that offers incredible views. Today, its numerous attractions are exciting diversions for young visitors, typically between 2 and 13 years old. The park's mascot, Gully Mouse, is a prominent character who is sure to delight guests of any age. Visitors can meet Gully, and his birthday celebration brings even more opportunities to interact with this character. This annual July 1 event is a special day, and there are always additional shows, treats, and excitement to make the day especially memorable. A trip to Gulliver's isn't necessarily complicated, but there are a few points to be aware of. The following tips will help you enjoy your visit more and ensure everyone's safety. To make the most of a visit to this park, it is important to remember how it is constructed. Since the park is built on a very steep hillside, proper walking shoes are essential, and young guests may tire easily while trekking to different areas of the park. The abundant trees provide plenty of shade (many rides are deeply nestled in the foliage), but sunscreen and other protection is still necessary. In early spring and late fall, wearing insect repellant is also a wise precaution. Since the park does not have high speed attractions, it is likely to be less appealing to teenagers. The park has a policy that all adults must be accompanied by at least one child. Adults who attempt to visit the park without any children will not be allowed to purchase tickets. The park is open seasonally from May through September, followed by weekend hours through the holiday season. During holidays, the park may be open later, although it does not stay open as late as parks that offer larger attractions aimed at older guests. 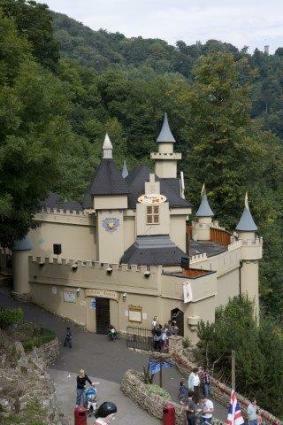 Groups are welcome to visit Gulliver's Matlock Bath, including family reunions, birthday parties, and other special occasions, and group rates are available. For school groups, the official website offers educational materials to bring learning and exploration together with the fun and excitement of a visit to this amusement park. Hopefully you'll never need this service, but Gulliver's offers help reuniting families with their lost children. If you and your child become separated, check in with Guest Relations and leave your cell phone number. The park will call you as soon as your child has been found. The park offers a downloadable information sheet regarding the accessibility of the rides. While the park does welcome special needs guests, riders and caregivers assume all risks regarding the decision to ride the rides. No alcohol is sold at the park, and visitors are not allowed to bring alcoholic beverages into the park. 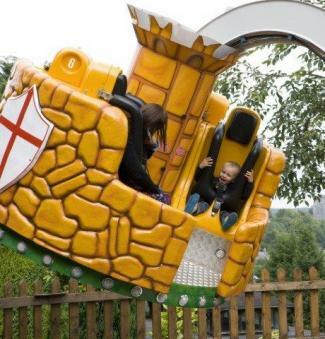 Gulliver's Matlock Bath is divided into themed areas, and each offers different attractions to enjoy, as well as mild entertainment and dining options. Smuggler's Wharf: Don your eye patch and put on your best scowl for this fun-filled, pirate-themed area. From riding the wild seas on a swinging pirate ship to meeting friends and playing in the pirate play area, Smuggler's Wharf promises a hearty adventure. Western World: In this wild west-themed area of the park, you can dig for gold, ride a log flume and watch the Cowboy Bears. Party House: This indoor arena is the perfect place to escape poor weather or avoid too much sun while enjoying a sand pit, soft play area, and numerous games. Adventure Land: This part of the park is home to more traditional rides and attractions like the interactive ball shoot, bumper cars, chair lift, and drop tower. Lilliput Land: Guests don't have to be tiny to enjoy the fun in this themed land. There is a crazy barrel ride and an antique car track to challenge guests, as well as a fantasy castle to explore. The giant chess board is another popular feature. Lilliput Woods: Lilliput Woods is home to three of the park's most popular rides, the log roller coaster, the fire brigade ride, and the Ferris wheel. At the top of the Ferris wheel, you have a stunning view of the rest of the park. Toyland: This is one of the biggest areas of the park.You'll find rides such as the speedy Switchback coaster, attractions such as the Singing Frogs, and shows such as Leonard's Jungle Jive. It is one of the busiest areas of the park, so try to get there early. Bourbon Street: One of the quieter areas of the park, Bourbon Street has a pirate play area for the kids to go wild. There's also a coffee shop where the adults can relax. Its one ride is a chair lift that takes you around the park. Dinosaur Kingdom: This area of the park is both fun and educational. As well as a discovery center and a fossil dig, you have the chance to drive around on their Dino Explorer cars and learn about the creatures that roamed earth all those millions of years ago. Spyzone: Gulliver's newest zone at Matlock is Spyzone. Advertised as an attraction for kids with an imagination, children have to race against the clock as they scramble through shafts and up ropes in an attempt to solve a mission. 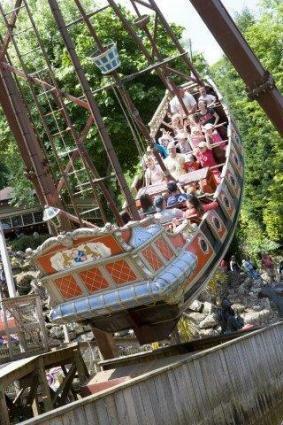 For more information about Gulliver's Matlock Bath, interested guests can visit the official website. A visit to a theme park like Gulliver's Matlock Bath offers a wonderful opportunity to create family memories of a day spent having fun and enjoying each other's company. Plan to visit while your children are still young enough to appreciate all the park has to offer, and take plenty of photos to help everyone remember the day.